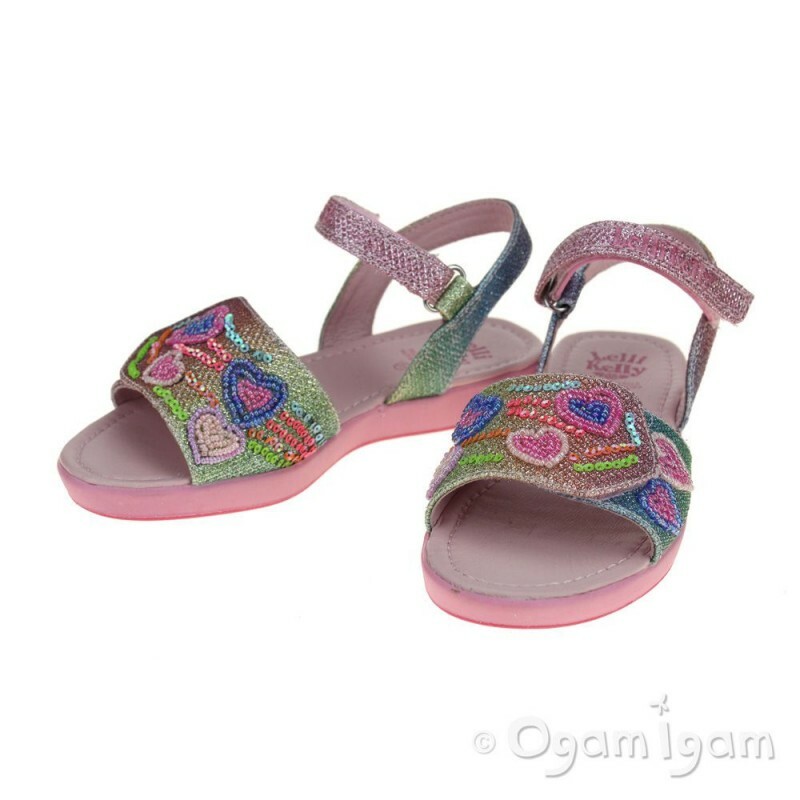 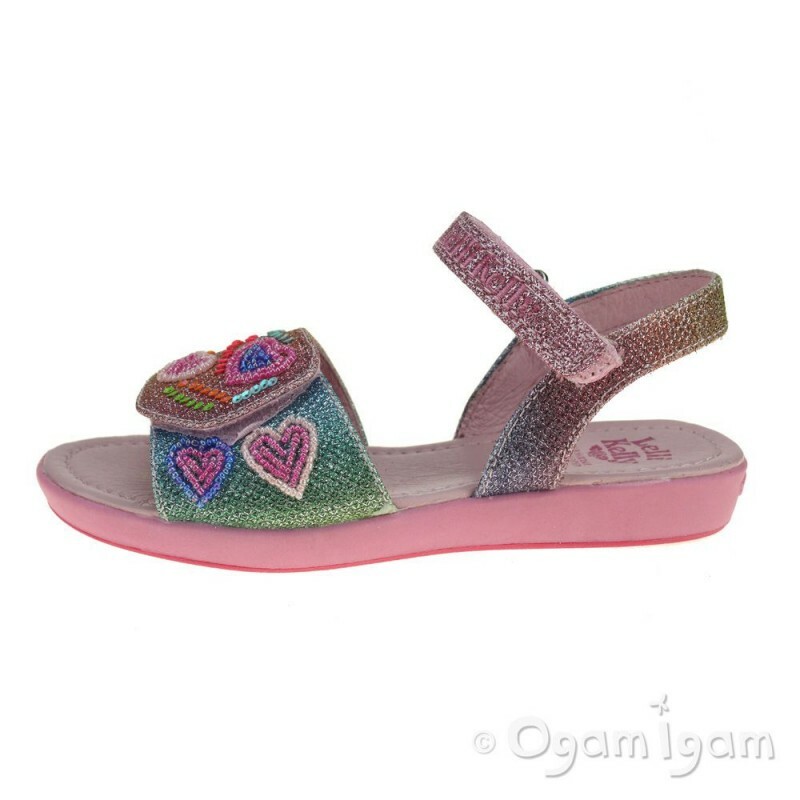 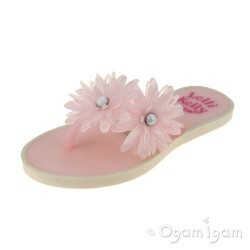 This very glittery sandal offers a perfect option for any girl looking for a sparkly summer shoe. 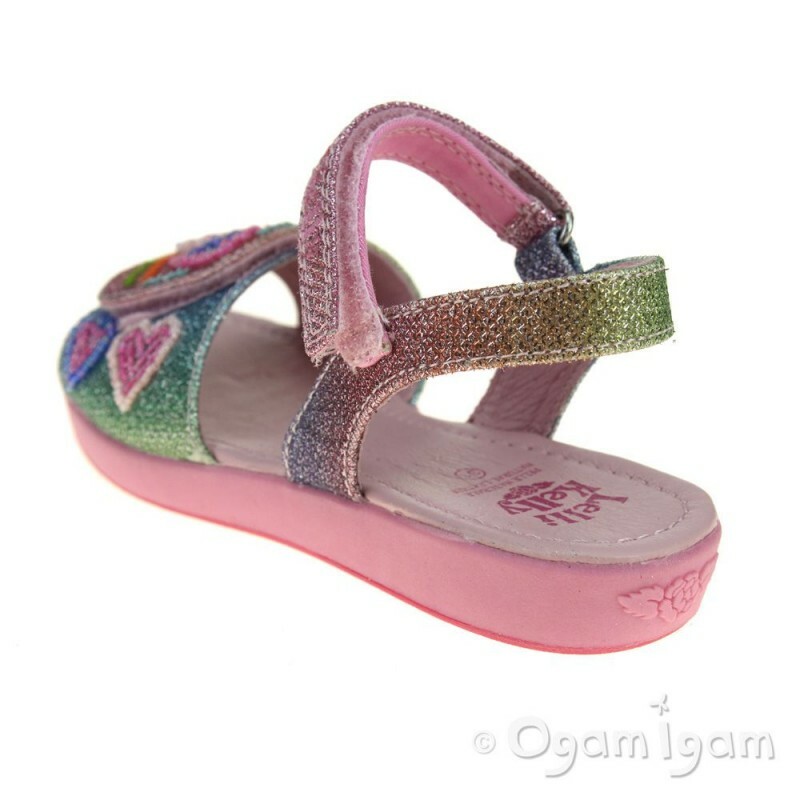 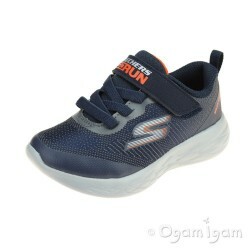 They have a thick sole and a rip-tape strap over the front of the foot for maximum support. 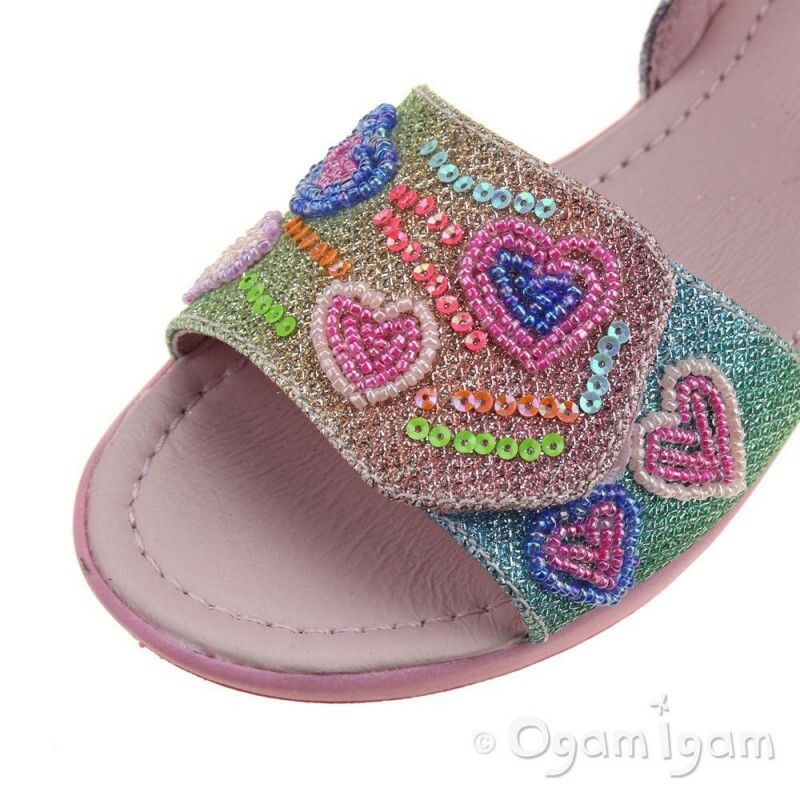 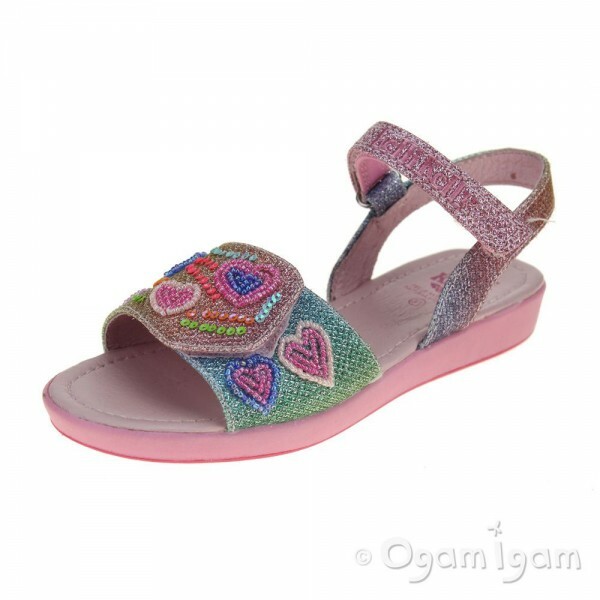 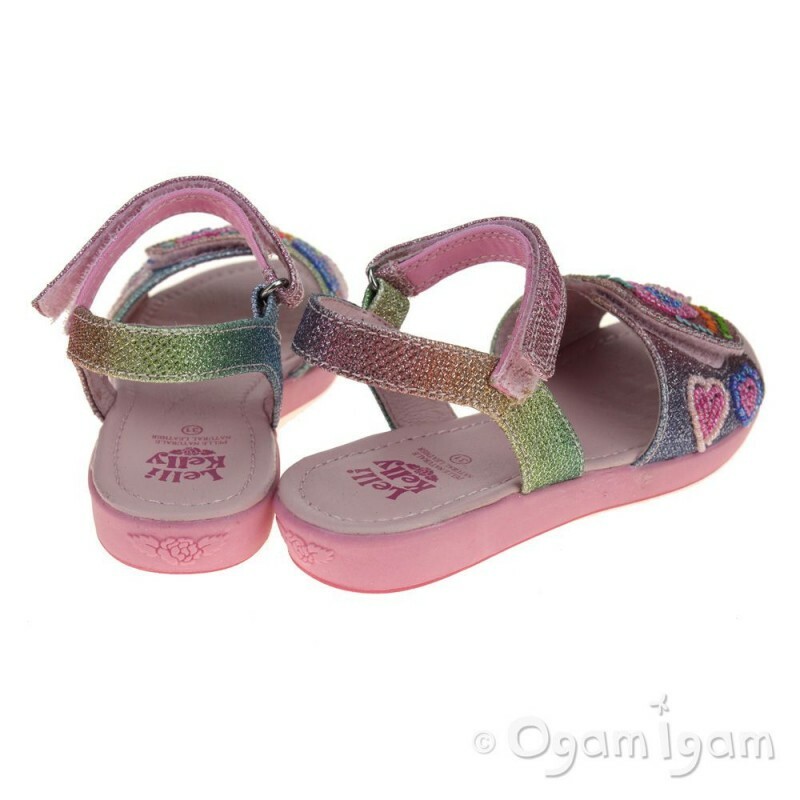 For decoration the sandal is covered in glittery multi-coloured hearts, with Lelli Kelly written across the rip-tape ankle strap.